2010 Mercedes Benz Sprinter Custom Body Kit brings sleek and beautiful lines to the vehicle. A Mercedes Benz Sprinter Custom Body Kit brings a whole different look to the van. Any Custom Body Kit can be fitted for any Mercedes Benz Sprinter Van. 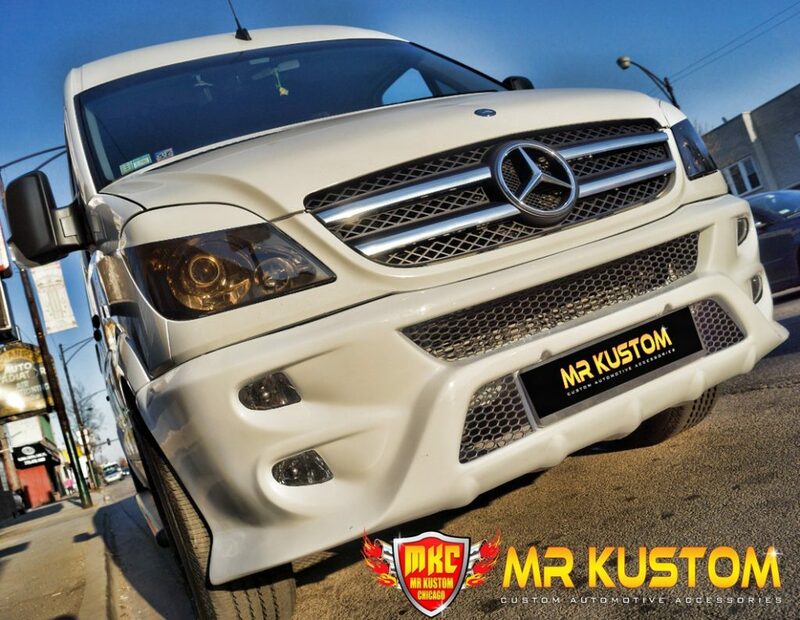 With over 30 years in the automotive field, Mr. Kustom can transform any vehicle from a plain looking vehicle into an extraordinary piece of art. Our kits come in many different styles. We offer numerous different versions of body kits so that you can choose from only the best. All our body kits can be painted to match your Sprinter Van’s factory color. Besides adding a body kit, you can also change out the grille to bring new life to the front of the vehicle. We offer both upper and lower grilles for the Mercedes Sprinter Van. 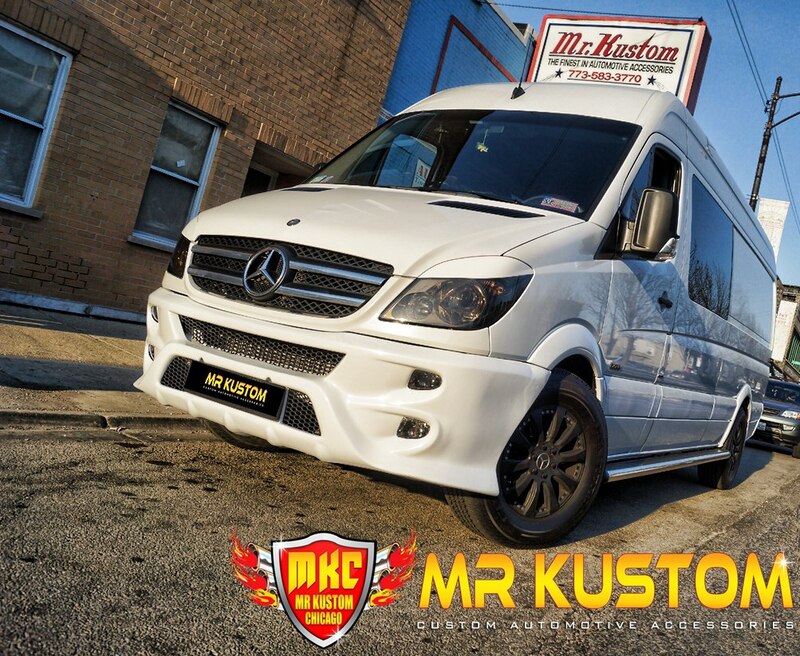 If you’re interested in our Body Kits, Running Boards, Custom Grilles, Rims & Tires, or any other accessory for your Mercedes Sprinter Van, please call 773-583-3770 and speak to one of specialists. We offer shipping on most of our products if you’re not in the Chicago area. This entry was posted in Blog and tagged Custom Body Kit, Custom Sprinter Van, Mercedes Benz Sprinter Body Kit.